Romania has significant oil and natural gas reserves and new ones are still being developed. The country is the third largest crude oil and natural gas producer within the EU and could play a vital role as a southeast Europe gas supplier, helping to achieve the EU’s objective of creating an Energy Union and a single gas market. Oil and Gas production value constituted 1.5% of the country’s GDP in 2017. Romania is self-sufficient on natural gas and is a net exporter of petroleum products to the tune of 1.8mn tonnes (in 2017). However, the country is dependent on crude oil imports as domestic production covers only 30% of total domestic demand. Petroleum product exports accounted for about 3.2% of total exports of goods and services, while imports of oil and gas made up 5.8% of total imports in 2017. As of end-2017, there were 16,200 employees occupied in the oil and gas extraction sector. 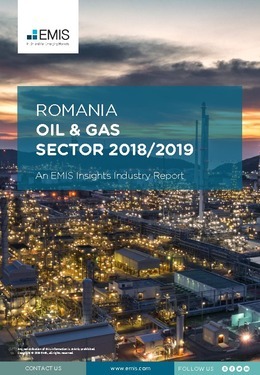 This report provides a complete and detailed analysis of the oil and gas sector for Romania. EMIS Insights presents in-depth business intelligence in a standard format across countries and regions, providing a balanced mix between analysis and data.